How To Get Rid Of Spam Comments And Emails? 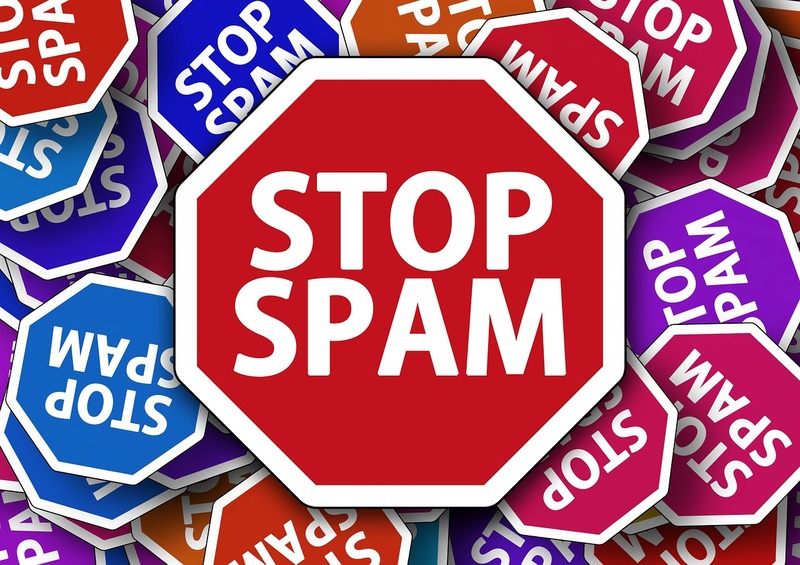 How to get rid of Spam and Spammers? Are you getting lots of unwanted emails? Are you getting lots of comments which doesn’t match your niche? Comments which irritate you. I will tell you that how to get rid of spam, whether it’s a comment spam or email spam but first, let me say what exactly spam is. Spam is unwanted emails found in your Inbox. These emails are those which you don’t have time to see or are uninterested. We can also say that the real spam is the advertising emails for the promotion of some products or services. Why can Spam be a Problem? Spam not only waste our time but can also waste our lots of internet bandwidth. It is pretty difficult to get rid of spam because sometimes we delete our important emails, thinking it to be spam. And if we are checking each email than our lots of time and energy is wasted, which we would have invested somewhere else. So, to get rid of the spam many have taken the initiative. How to get rid of spam comments? The comments are superb for any blog and can help the bloggers to get more traffic and up-rank on SERPs. But Bloggers get irritated when they get unwanted comments; these comments may be from a different commenter for a different niche, many comments from the same IP or email. So to get rid of the spam comments you need to install one straightforward and fantastic plugin named Akismet. This plugin has helped me for years and is still helping me. Mainly it’s free of cost to remove comment spam. Akismet is Easy to use, we just need to follow these three Steps. How to get your comments approved. What is Email Spam and how spammers get your email? Email spam is the emails that we get from the unknown person or spammer with their promotional products. But the sad thing is that these spammers get your email from your website’s contact us page. They use your contact us page to send spam email. Moreover, these spammers use some programs called Email Harvesters; now these programs help them to scan your website and get them your all email address that you have used on your site. And, after that, they use the email to send you loads of spam and spam. Two months before I was going through the same and was getting lots of spam through email in my inbox. But Luckily, I found the way to “how to get rid of spam?”. There’s a technique called Email Obfuscation which can help you to get rid of the spam. This method will not allow the spammer to get your email address from your website. And another term is given for it and that is “obscuring email addresses”. The Email Obfuscation technique works in such a way that it will not allow the programs like email harvesters to get your email address, and in the worst case, will be able to get your email address by much harder efforts. Read: How to get rid of annoying emails in Gmail? There are many ways for obfuscation which you can use. You can use an image instead of text to display an email address. You can also encode the email characters in such a way that it confuses email harvesters. Use your email address like me[at]trickyenough[dot]com. And if you have a CMS like WordPress, then it becomes a lot easier for you to use this technique. As you can use a free plugin to obfuscate, which will work automatically and free. The plugin that I use is email address encoder, which I hope will work for you as it has worked for me. It’s a free plugin which you can use to protect email addresses and all the mail to links from the email harvesting robots. This Plugin encodes the email into decimal and hexadecimal entities. The plugin has a rating of 4.8 out of 5 rating on wordpress.org & is updated to the latest WordPress version regularly. I have also collected a list of commenting plugins which you can also check. If you have any other technique which can be used to get rid of spam, Then we would love to hear from you in our comments section. How to Unsubscribe from Annoying Emails in Gmail? The email encoder sounds interesting. Generally, GMail does an adequate job of spam filtering for me. Yes, Email Address Encoder is good. And even Akismet is good enough for those, who only want free services. And thanks for Reading and writting a comment. Happy to be here again? I am so glad to go thru the content . Spam mails are really an irritating thing! Thanks for telling about Its various aspects in this post. I could pick a lot if things from this post. Also I am so happy to say that, I have mentioned this post in my recent post at philipscom. Thanks for sharing this with us. I really get irritated when I read the comments like “Nice Article”, “Good Post”, “Wow. Thank You”. I mean, who says or even think like that. I am using Akismet but I think I should switch to paid service of Akismet. Askimet is good and paid services of Akismet are even more Good. Thank you! With the help of this article, I was able to filter spam in my gmail.